In our new home at the NEC, Birmingham, you’ll experience a bigger show packed with even more exhibitors and exciting content focused on medtech, medical plastics, digital devices, pharmaceutical manufacturing technologies, start-ups and more! This free-to-attend event offers a unique platform for you to meet with your peers; designers, engineers, innovators and manufacturers from the medical and healthcare sector. You will be able to learn from thought-leaders across three conference stages, gain valuable market information and do business all in one place. 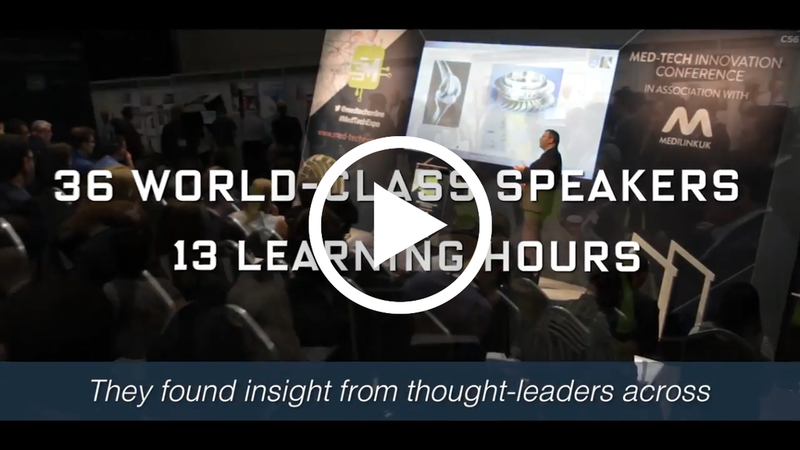 Don’t just take our word for it, watch the video now to see how you’ll benefit from a visit to Med-tech Innovation Expo!